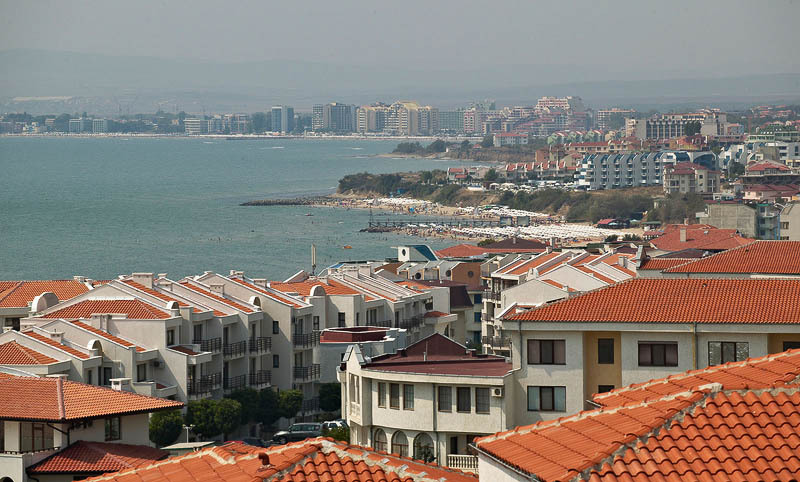 Scenery of resort complex with houses, hotel buildings and sand beach on sea coast. Seascape with seaside town for summer tourism, vacation, holiday and rest. Tourist destination.